Christian missionaries that aims to bring people together and lead them to God. We are based in Jackson, Tennessee, but we also do mission work overseas, particularly in Kenya and India. 100% of your donation goes directly to the overseas mission you select - India or Kenya. If you do not mark your donation we will apply your donation to the mission that has the greater need at that time. 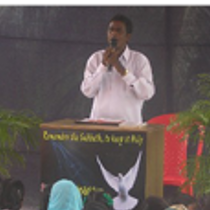 Pastor G. Anandababu is continuing the work of his late father, Pastor Mohana Rao. He works tirelessly to preach the Gospel in Southeast India, where he leads three congregations. Working under the name "Church of God Ministries," they keep the Sabbath, Holy Days, and Dietary Laws. In line with their work, they have published four books: Holy Time with God, Freedom Under the Law of God, Clean and Unclean: the Guide to Living the Holy Life, and God's Plan of Salvation in the Holy Days. If you are interested in helping them, please mark your contribution "INDIA." For more information, request our free brochure on worldwide missions. 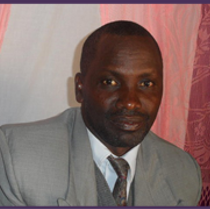 Pastor Josphat Kaberia keeps together a ministry of seven congregations in the arid northern part of Kenya. His mission goes by the name "Hungry Hearts Ministries of Kenya". Pastor Josphat and his missionaries keep the Sabbath, the Holy Days, and the Dietary Laws. As with our mission team in India, our Kenya missionaries have also published Holy Time with God and Freedom Under the Law of God. If you are interested in helping them, please mark your contribution "KENYA." For more information, request our free brochure on worldwide missions. All donations are through PayPal. When donating for our Missions please include in the comments either "Kenya" or "India" so we can ensure it gets to the proper mission field. If you do not mark your donation we will apply all of your donation to the mission field that has the greater need at that time. Thank you for your support of our overseas mission work.